Gallery / Saga Press, 9781481485609, 624pp. Spies and sorcerers face off during the Cold War, with the fate of the world in balance in this print edition of a hugely popular serial novel from five award-winning and critically acclaimed authors. This novel was previously published serially at SerialBox.com/Serials/ColdWitch. Lindsay Smith is the author of the YA espionage thrillers Sekret, Skandal, and Dreamstrider, all from Macmillan Children’s. She lives in Washington, DC with her husband and dog, where she writes on international issues in cyber security. Michael Swanwick has received the Nebula, Theodore Sturgeon, World Fantasy, and Hugo Awards. He has written nine novels, 150 short stories, and countless flash fictions. His latest novel, Chasing the Phoenix, is available from Tor Books. "Those who like to mix magic, spycraft, and secret history should enjoy this – it may please fans of Stross’s Laundry series." "Full of fast-paced, high-intensity action paired with magic at a level that has not been seen until now, with a cliff-hanger that lets readers know that the game is not over and has only just begun." 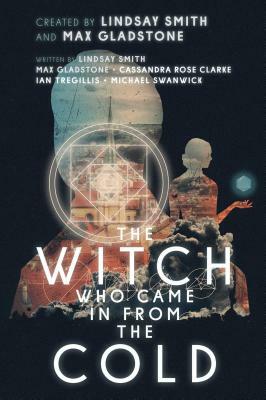 "The Witch Who Came in from the Cold is a chilly evocation of a different kind of Cold War." "The occult love child of John le Carre and The Sandbaggers." "The diabolical secret weapon of serialized storytelling is that each bit just whets your appetite for more. When can I have the next one?" Location: Prague. Time: 1970. Two things this city was lousy with: spies and witches. "As soon as I saw that, I was instantly hooked, and the pilot jacked the intrigue to the max. Two female Soviet spy witches, an American spy with something weird drilling magical holes in his head, and a world of secrets within secrets in a locale where old-world myth and the Cold War face off, pedal to the metal . . . it’s awesome. Or as we said in 1970, Far out. "